Form 1120 F is not the form you're looking for?Search for another form here. Who files the Form 1120-F? Was engaged in a trade or business in the United States, whether or not it had U.S. source income from that trade or business, and whether or not income from such trade or business is exempt from United States tax under a tax treaty. Was not engaged in a trade or business in the United States, but had income from any U.S. source, if its tax liability has not been fully satisfied by the withholding of tax at source under chapter 3 of the Code. A foreign corporation making a claim for the refund of an overpayment of tax for the tax year. See Simplified Procedure for Claiming a Refund of U.S. Tax Withheld at Source, later. A foreign corporation claiming the benefit of any deductions or credits. See Other Filing Requirements, later. A foreign corporation making a claim that an income treaty overruled or modified any provision of the Internal Revenue Code with respect to income derived by the foreign corporation at any time during the tax year, and such position is required to be disclosed on Form 8833. See the instructions for Form 8833 for who must file Form 8833, and who is exempt from filing by reason of a waiver provided under section 6114 and the regulations thereunder. 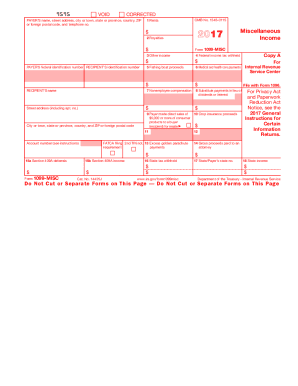 If Form 8833 is required, complete item W on page 2 of the form. A Mexican or Canadian branch of a U.S. mutual life insurance company. The branch must file Form 1120-F on the same basis as a foreign corporation if the U.S. company elects to exclude the branch's income and expenses from its own gross income. A receiver, assignee, or trustee in dissolution or bankruptcy, if that person has or holds title to virtually all of a foreign corporation's property or business. Form 1120-F is due whether or not the property or business is being operated (see Who Must Sign, later, for additional information). An agent in the United States, if the foreign corporation has no office or place of business in the United States when the return is due. What is the purpose of the Form 1120-F? Use the Form 1120-F to report the income, gains, losses, deductions, credits, and to figure the U.S. income tax liability of a foreign corporation. Also, use Form 1120-F to claim any refund that is due, to transmit Form 8833, Treaty-Based Return Position Disclosure Under Section 6114 or 7701(b), or to calculate and pay a foreign corporation's branch profits tax liability and tax on excess interest, if any, under section 884. Is the Form 1120-F accompanied by other forms? Depending on the circumstances, you may be required to attach Form 2439, Form 4136, Form 8288-A, Form 8805, Form 2220, Form 5472, Form 8833, Form 1125-A, Form 1125-E, Schedule D (Form 1120), Schedule O (Form 1120), Form 4797, Form 4562, Form 8903, Form 4626, Form 1118, Form 3800, Form 8827, Form 8848, and other documentation. When is the Form 1120-F due? A foreign corporation that maintains an office or place of business in the United States must generally file Form 1120-F by the 15th day of the 3rd month after the end of its tax year. A foreign corporation that does not maintain an office or place of business in the United States must generally file Form 1120-F by the 15th day of the 6th month after the end of its tax year. 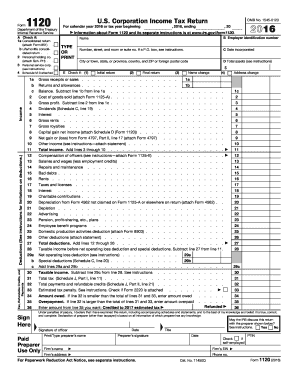 How do I fill out the Form 1120-F? 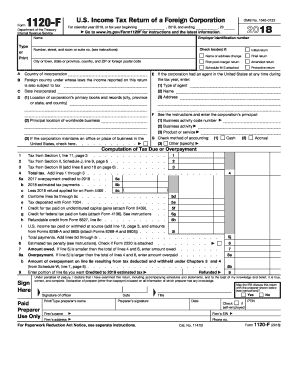 Where do I send the Form 1120-F? The Form 1120-F must be filed with the Internal Revenue Service Center, P.O. Box 409101, Ogden, UT 84409.